Discussion in 'Classic Menswear' started by kelvw, Jan 14, 2018. First off, apologies for the amount of pictures I'm about to post. 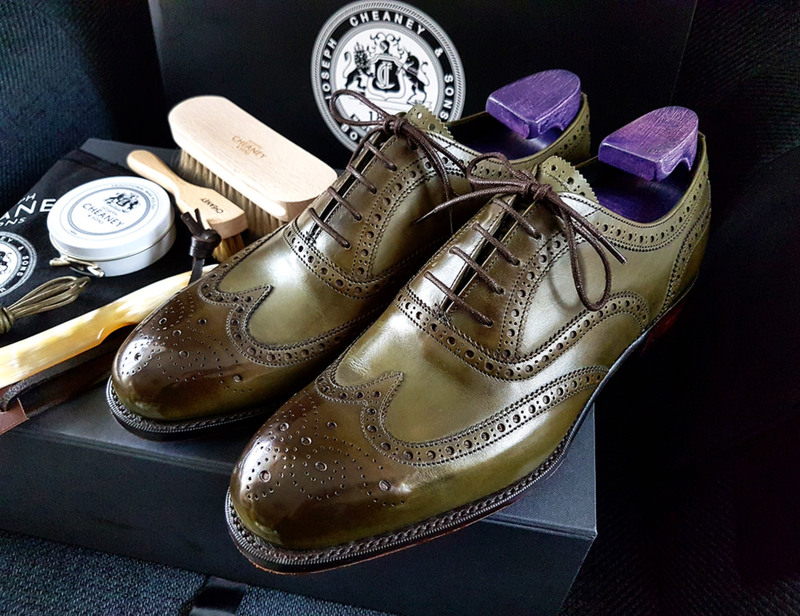 Since there's no dedicated thread to Cheaney's 1 of 1 MTO, thought I'd share my experience here. I know a few gentlemen have ordered theirs and would be nice to see what designs are out there. Please do share if you have yours made. Although the options are not infinite, there are some parameters in what you can or can't do. 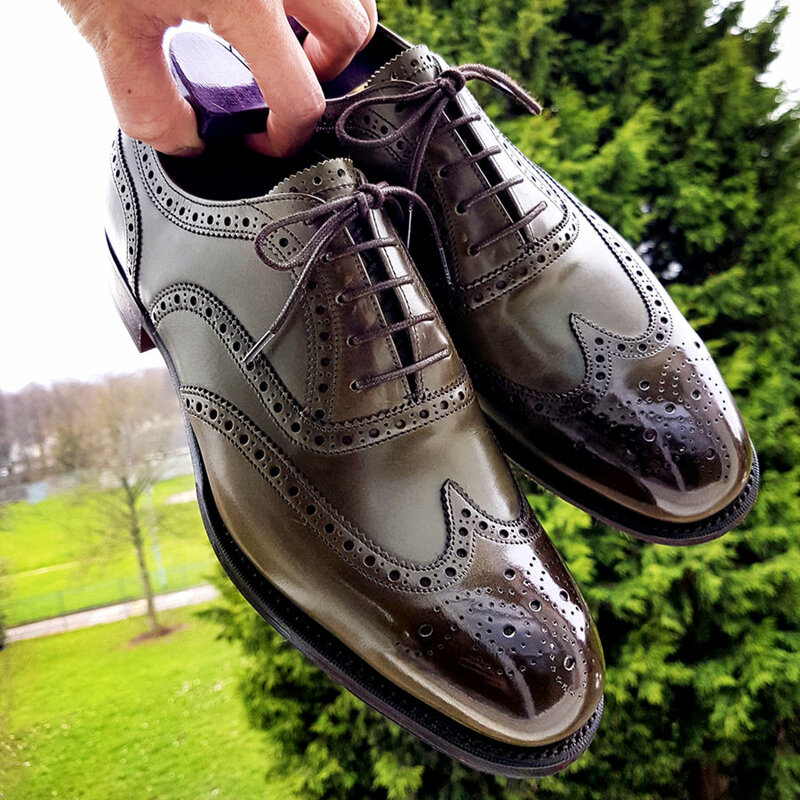 However it is enough to pick from, starting with the 125 last and then the choice of designs (Full Brogue, Semi Brogue, Monk, Plain/Toe cap Derby). 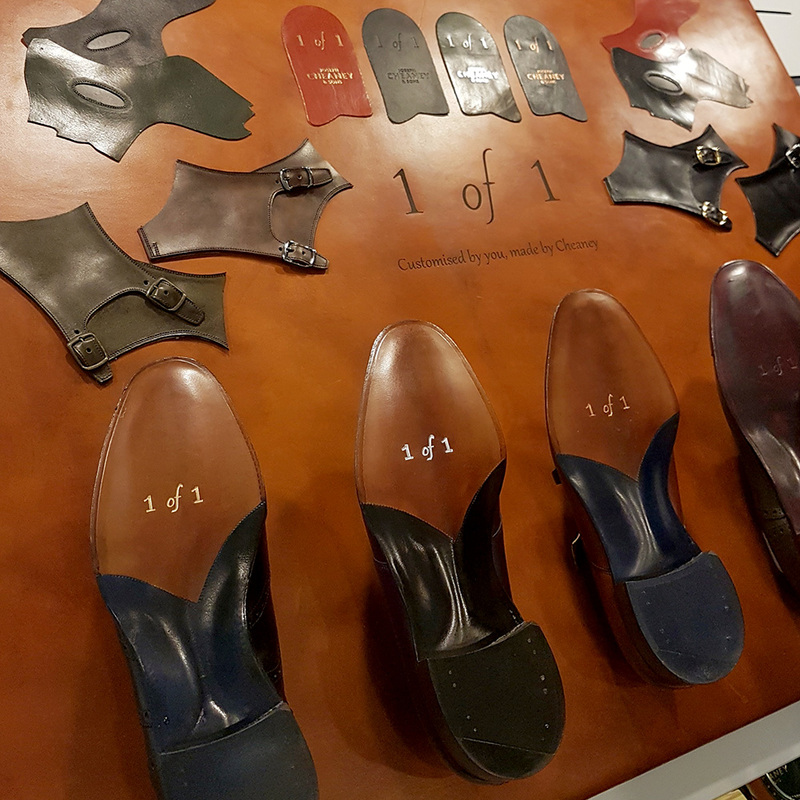 From there, here's where the fun starts from deciding full plain colour, a spectator or even calf/suede and other small details to pick from. Currently only available at Jeremyn Street and hopefully soon at Covent Garden. The experience has been a pleasure as the staff guides you through available options and samples. 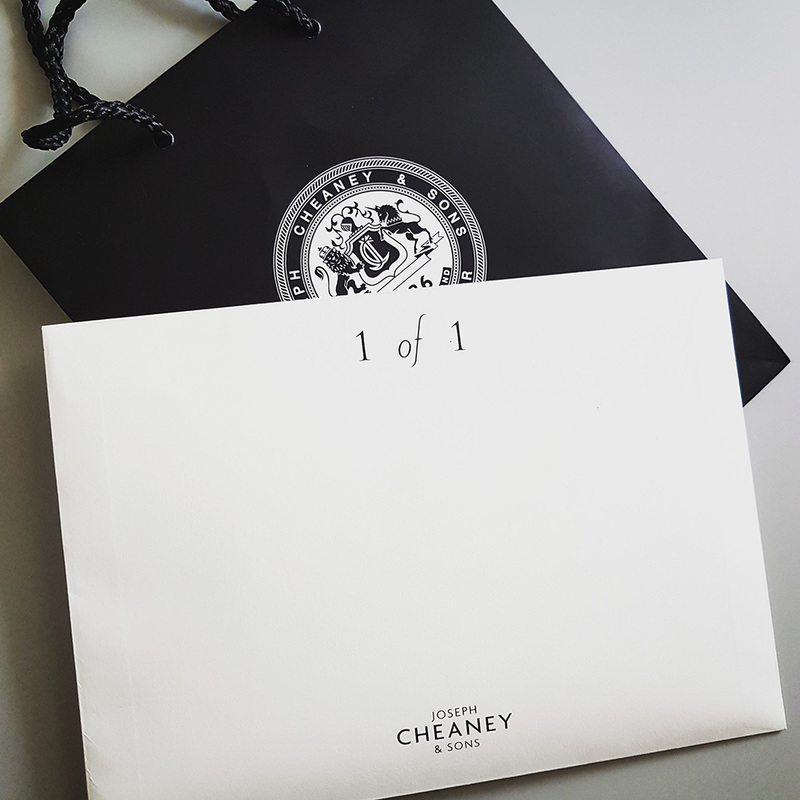 I had to go back a few times as I couldn't decide but Cheaney's staff, particularly Marc has always been very accommodating, patient and courteous. I picked mine up from the Covent Garden store after 3-4 months wait. It should have been quicker but there were some delays in the factory and also Christmas but it was worth the wait. I went back and forth trying out various ideas and colours. Some were pretty bold but decided to settle on something I could wear often rather than occasionally. 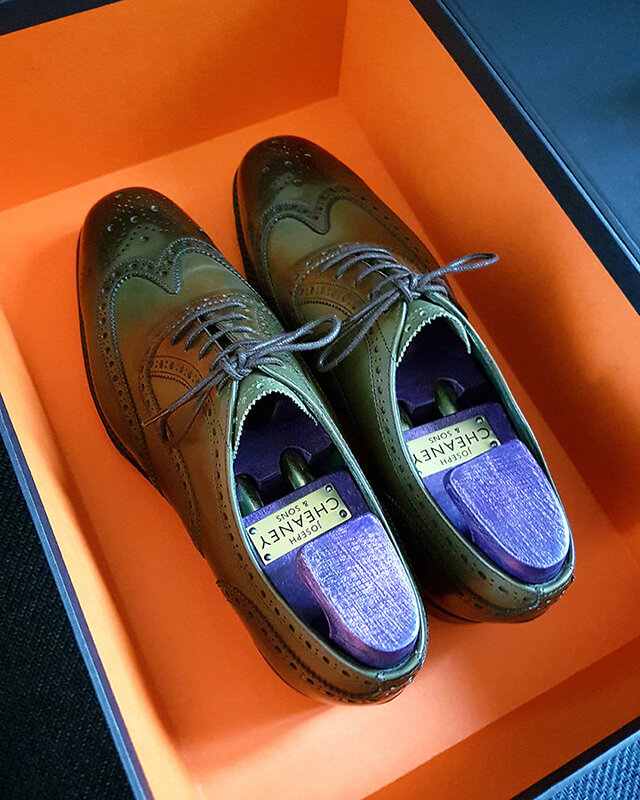 I may go back to the initial idea of Navy with Aubergine/Green spectators on the next pair. Comes in a nice big box, with magnetic latch. 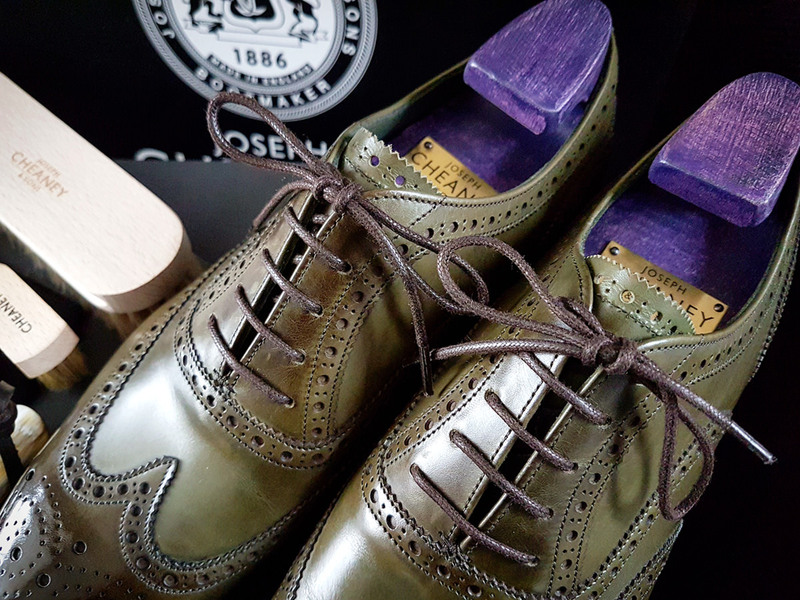 Comes with lasted hand stained shoes trees as well. The shoe looks a bit too green here, I need to white balance the camera next time. 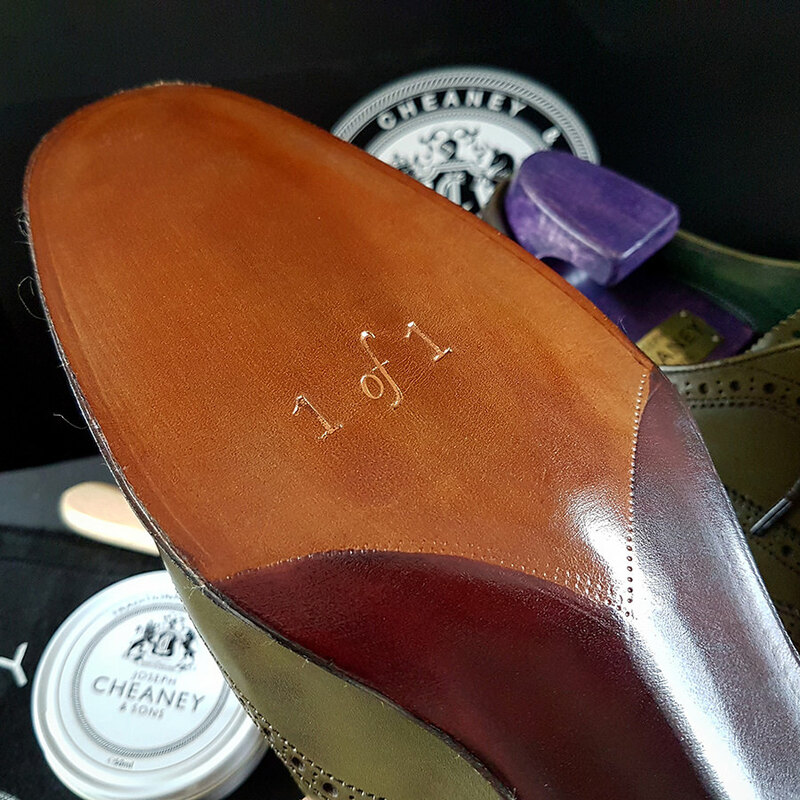 and shoe care. 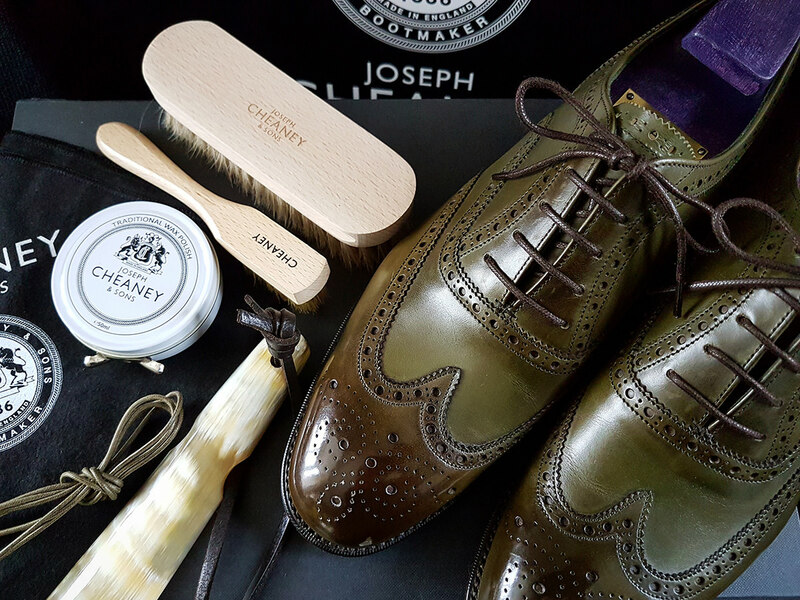 I believe the wax polish is Saphir, abbeyhorn? 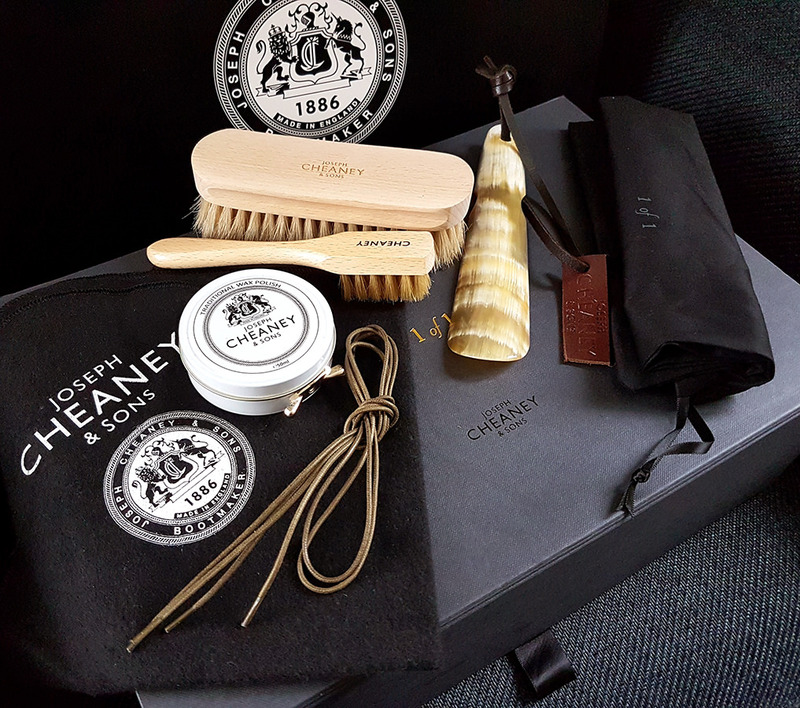 shoe horn, brushes, extra laces and polishing cloth. 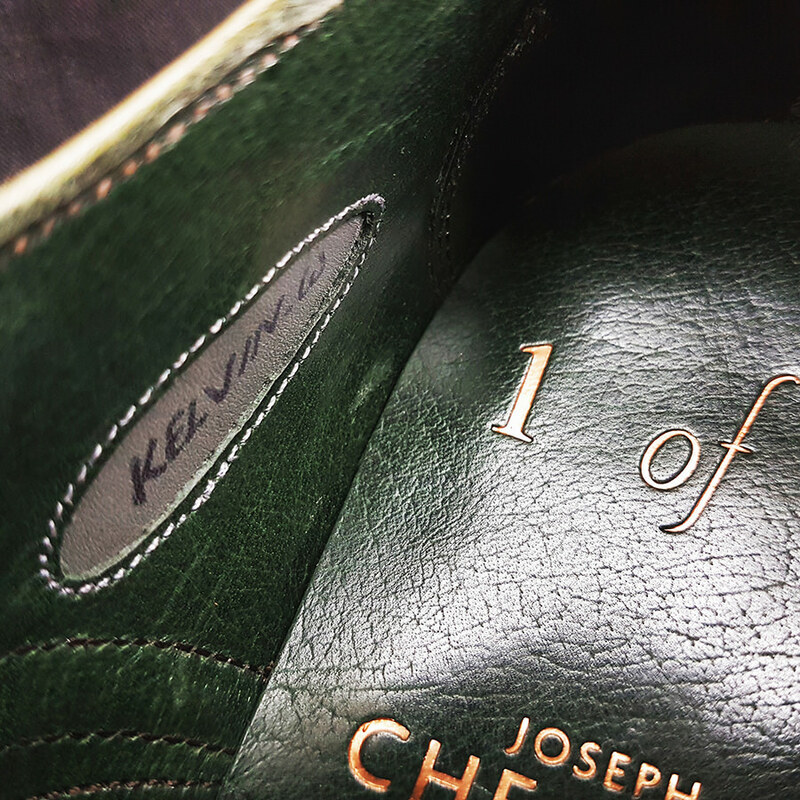 The shoe bags are different as well, it has a nice satin finish to it. The green is quite difficult to capture. Here are a few more which closer to how it should look like. and lastly the sole. Option for full or half paint. I went for a purple sole but lean to being a bit more reddish instead. Closed channel and beveled waist, similar to the imperial line. Overall, I'm pleased with the finished product. Now I just got to make the first step on the asphalt. Thanks for posting pics and the short write up. They look great. Cheers! It's £700 but may increase in price I've been told. Ouch. Too expensive for my budget. Do you think you would do another? 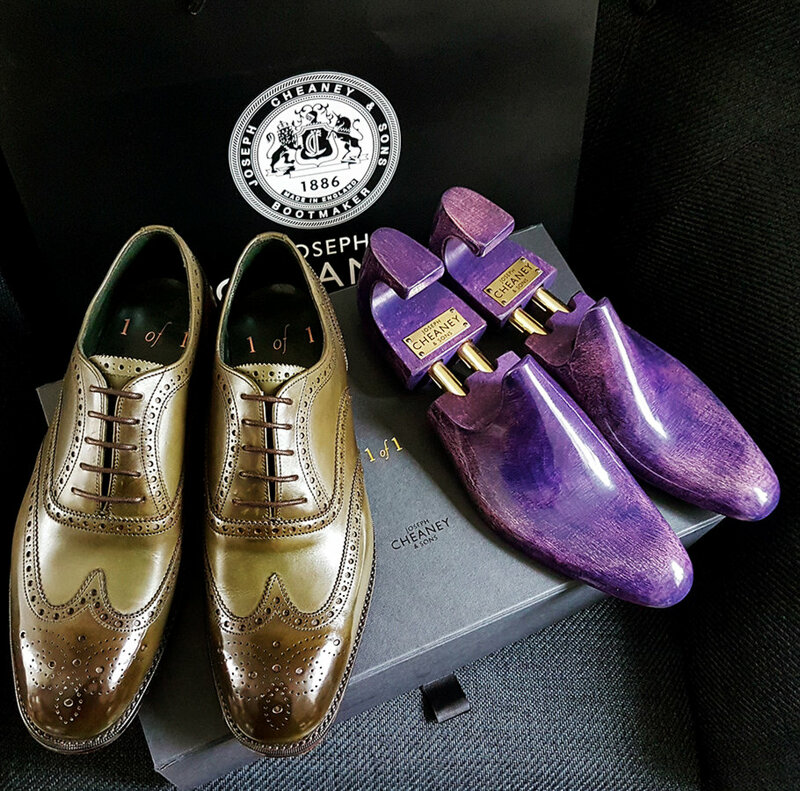 If I had that level of budget I would probably go for a Crockett and Jones MTO but by the looks of things Cheaney May have more options. Don’t you dare! Don’t you DARE apologise for posting too many pictures. You can’t have too many. I am sitting here munching on my cheese and crackers, scrolling happily through all these fine images. A young boy at heart, I love pictures. 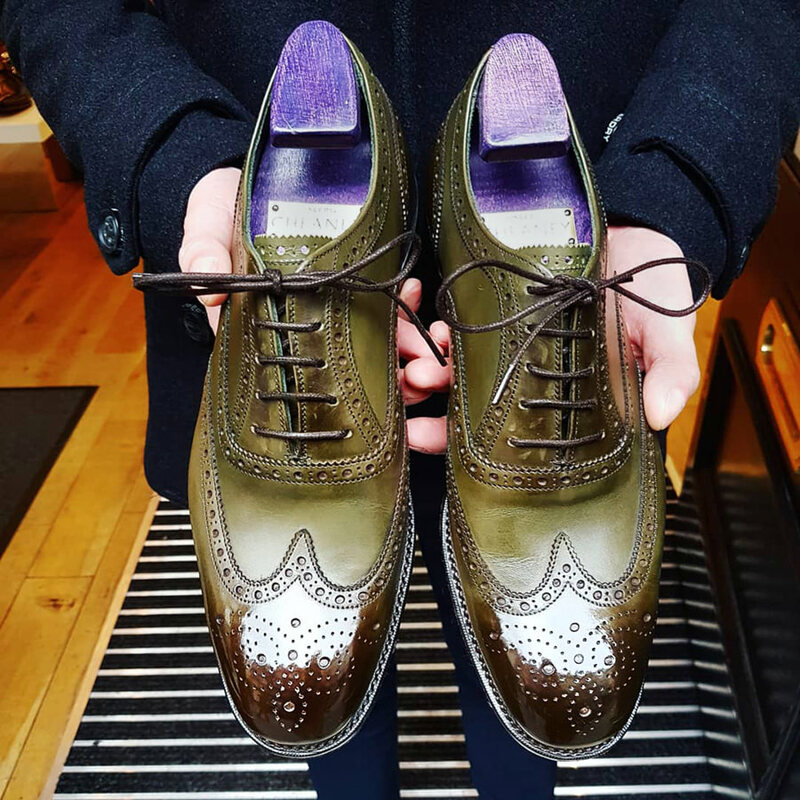 Lovely shoes by the way. I'd love to see what other mto designs are out there as well. I'm really tempted to have another pair but obviously not so soon. 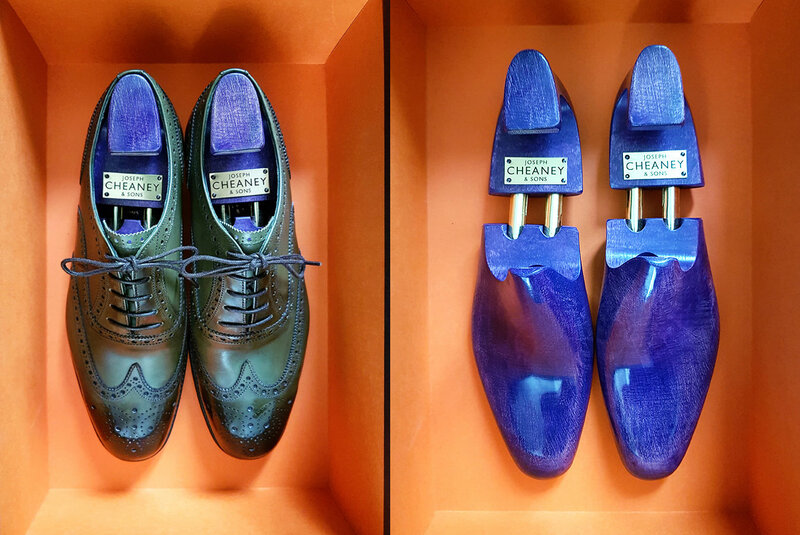 Personally I like Cheaneys as they fit me well and they always have something exciting. 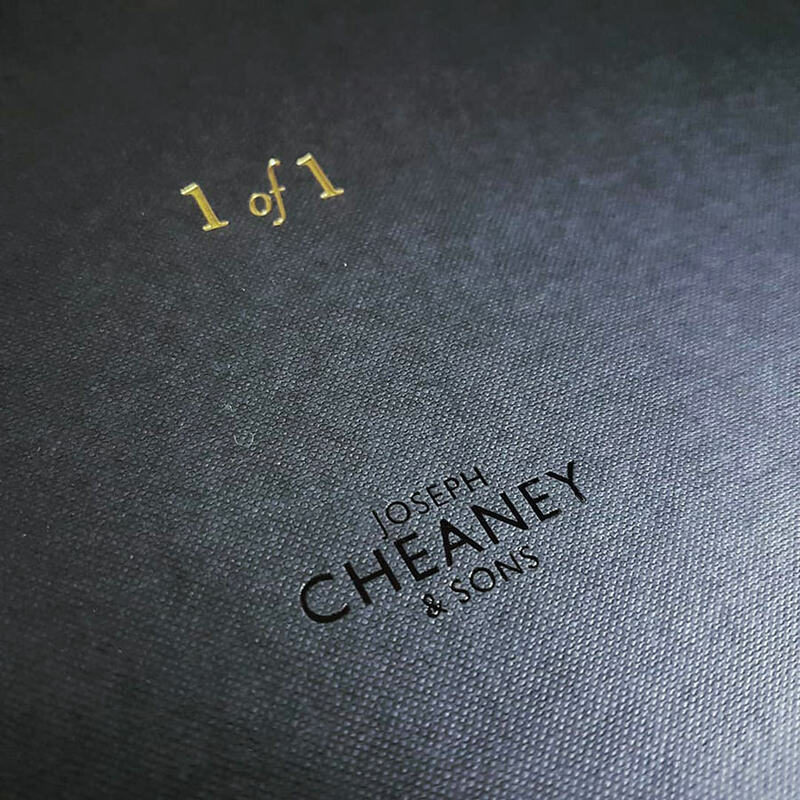 Fit definitely first but it does compete with C&J and I think Cheaney May find that a tall competitor. AS’ HG line was also around that price but couldn’t really get much traction. 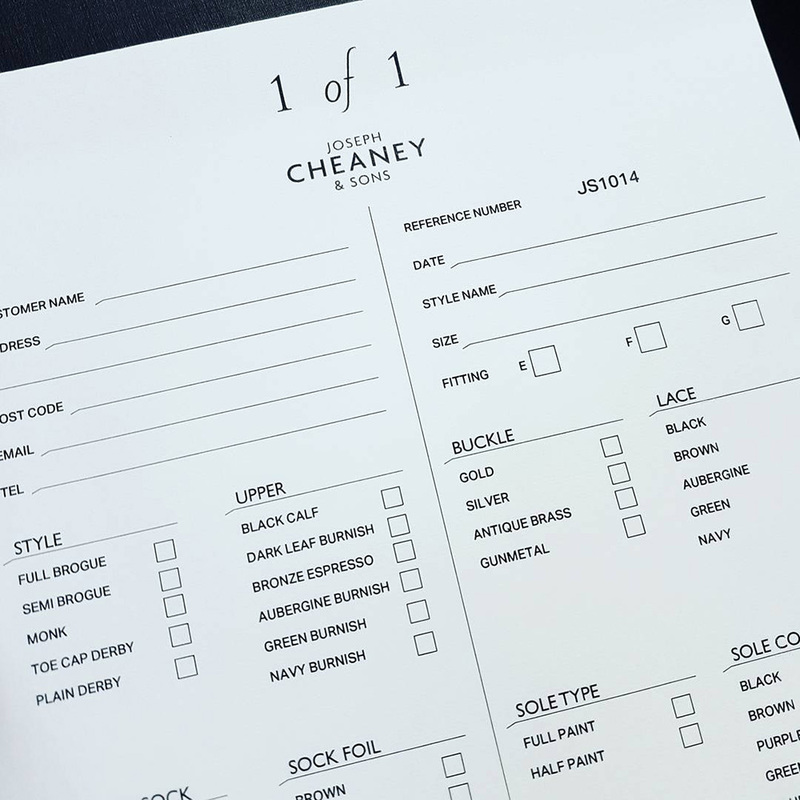 Hopefully Cheaney works out to provide more options in the market. correct? I usually require an "h" width. Some "g"'s work. several "g" models from C &J, Church, and L.Reiter that I had my eye on. 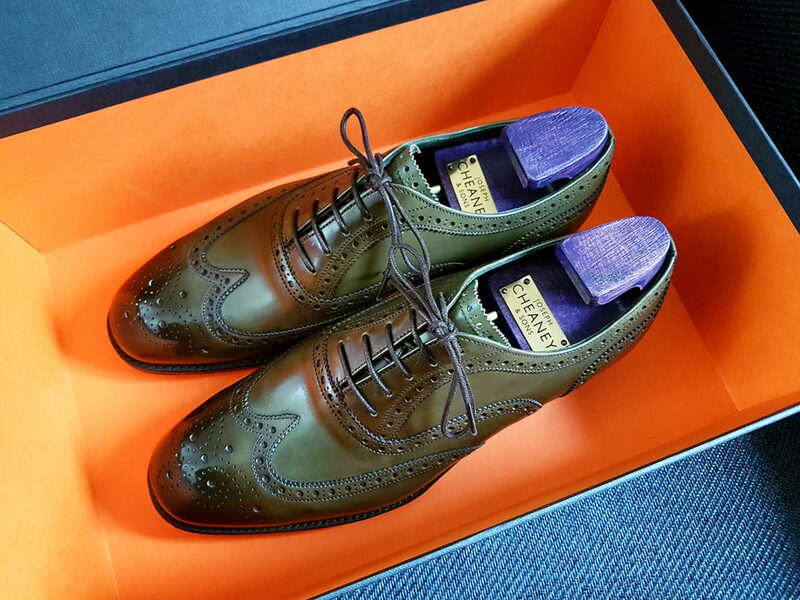 Cheaney and Tricker's tend to have generous lasts. Both do MTO too. We don't hear about it more but I think Tricker's price is pretty competitive. No bells, whistles, or fiddle waist but they make sturdy shoes. The 1 of 1 MTO is based on the 125 last, not sure if they have wider/narrower fit. 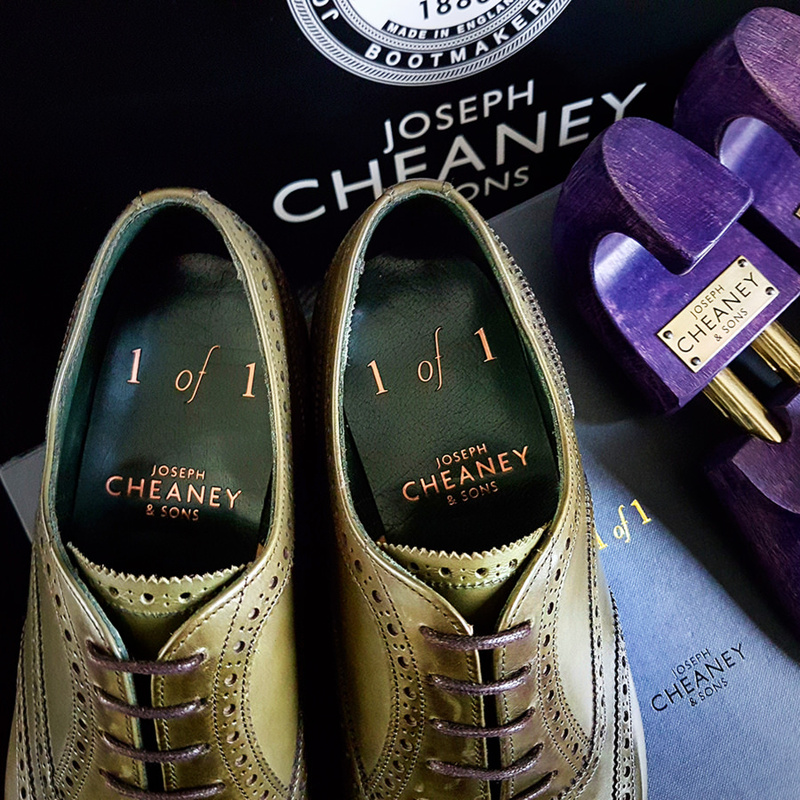 Cheaney's Covent Garden store will soon have options for the customisation and not just at Jermyn Street. 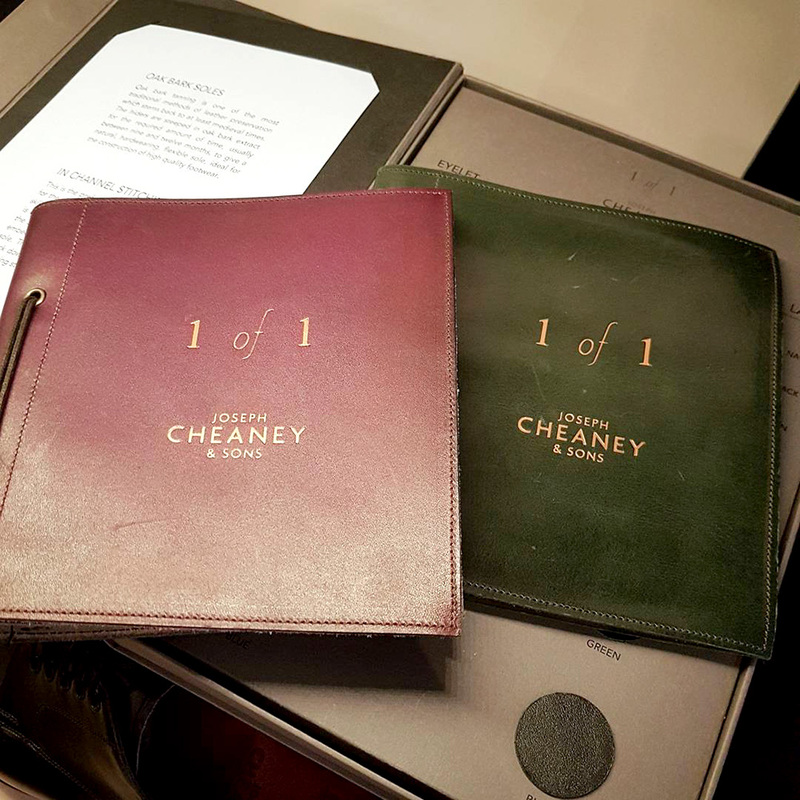 I guess Cheaney should promote their MTO program more, there is not much information on the website except for a few write ups. Oh man, this is one of the most badass threads I've ever seen. Thank you so much for sharing your pics and your experience! 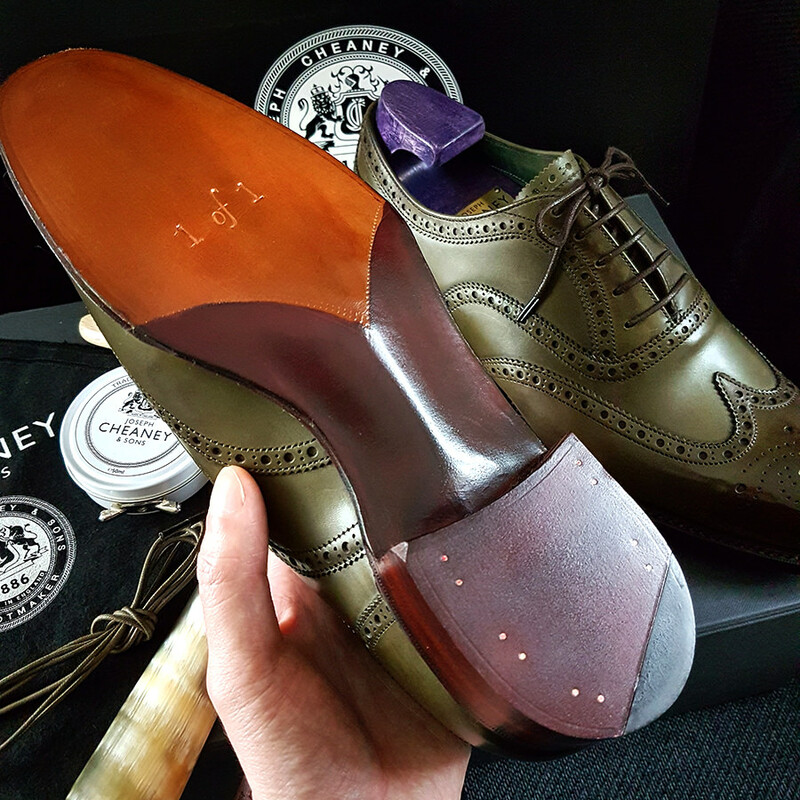 How is the leather quality on the Cheaney MtO? Is it the same as CJ handgrade?